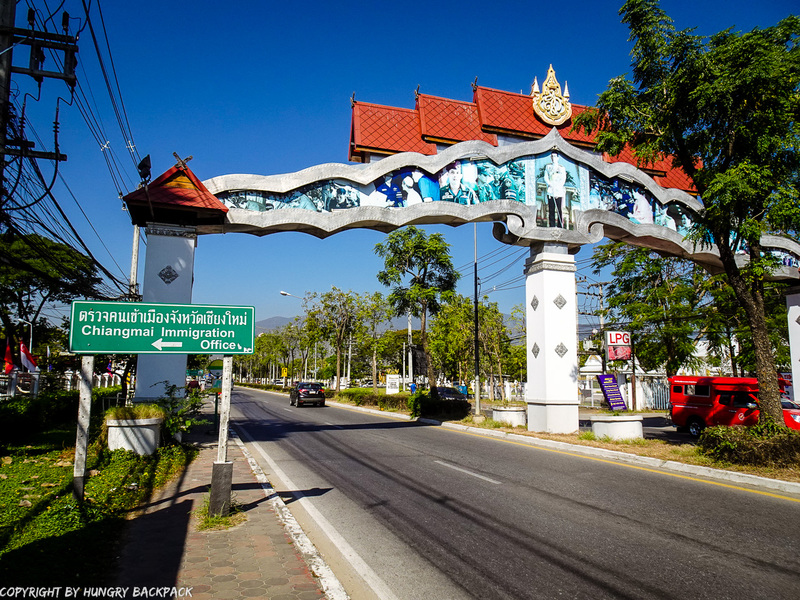 This updated post will cover the exact tourist visa extension process at the NEW Immigration Office near the Airport in Chiang Mai, Thailand. 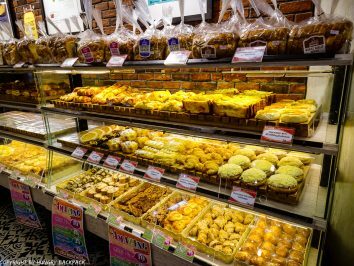 It’s easy to lose track of time in Chiang Mai – there is so much to see and do in and around Chiang Mai that you most likely will stay much longer than you had originally planned – we’ve been there! 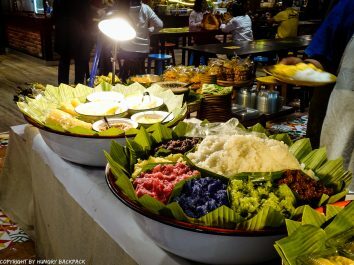 🙂 We’ve also found Chiang Mai to be the perfect place for digital nomads and to base yourself for a month or even longer with endless cute little coffee places to work from, strong Wi-Fi in most public cafès and restaurants, cheap and amazingly delicious local food, modern shopping malls, ancient temples and tons of activities to keep you well-entertained when you’re not working. 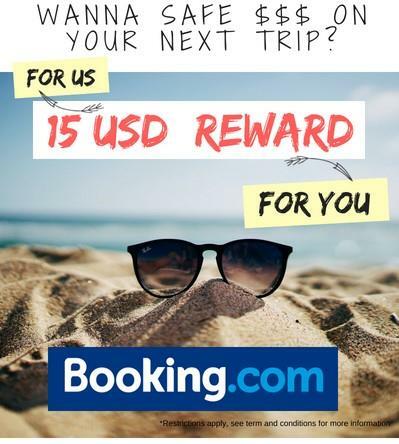 It’s simply EASY to have a good time here and mot before long, your visa is about to expire! Oooops! What now? 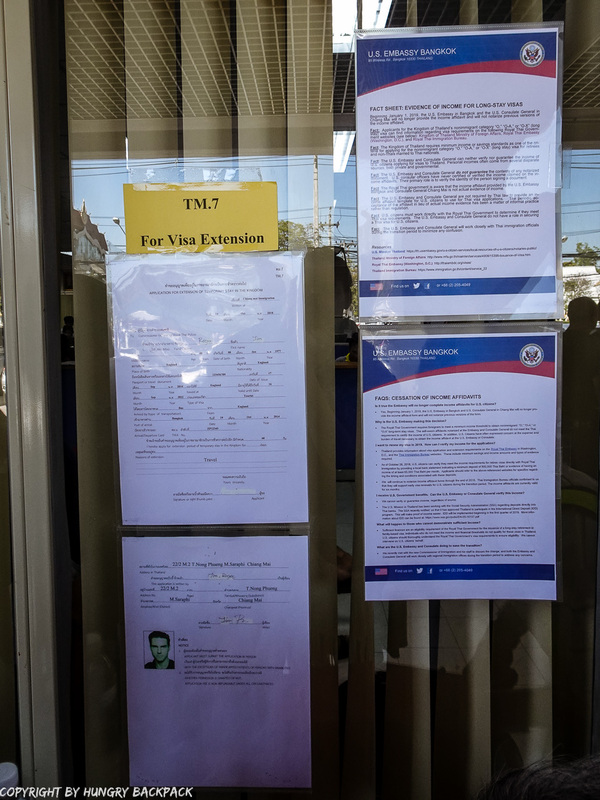 No idea how the tourist visa extension process works? No worries, we’ve done it twice and got you covered! 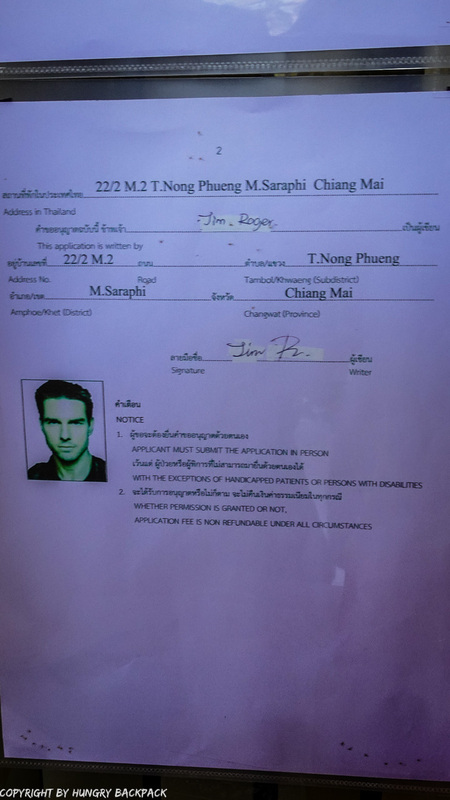 All in all the visa extension process at the new Immigration office in Chiang Mai is pretty straight forward and well organized. We’ve put together a detailed guide for you on how to exactly extend your tourist visa in Chiang Mai, what you need to bring, how much it all costs and how to get there by public transport. Let’s go! However, waiting until the last second is pretty risky. 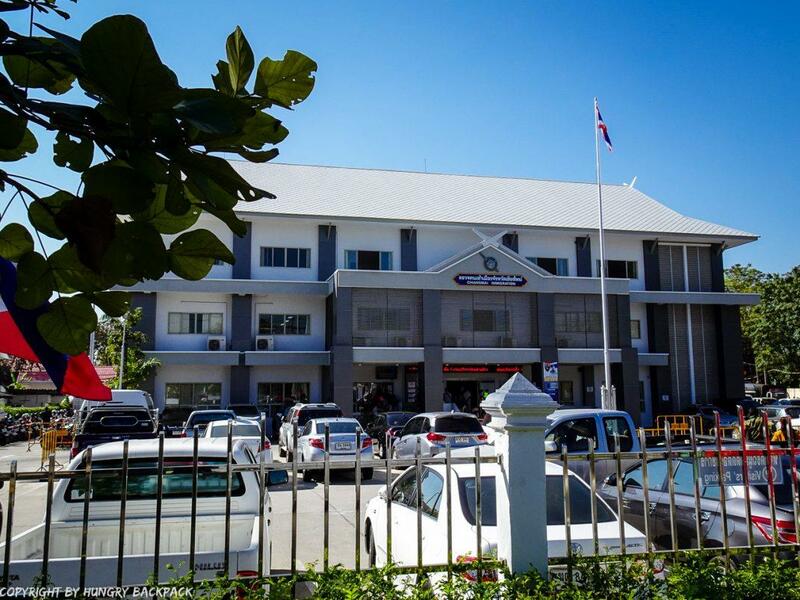 There might be a public Thai holiday you don’t know about or the date falls on a weekend when the immigration office is closed. It also might be one of those days with just tooooo many people in line in front of you so you simply won’t make it that day. Whatever the reason, better be safe than sorry! So, to avoid any last minute heart attacks we recommend paying a visit to the Immigration Office in Chiang Mai to extend your visa at least 3-4 days prior. 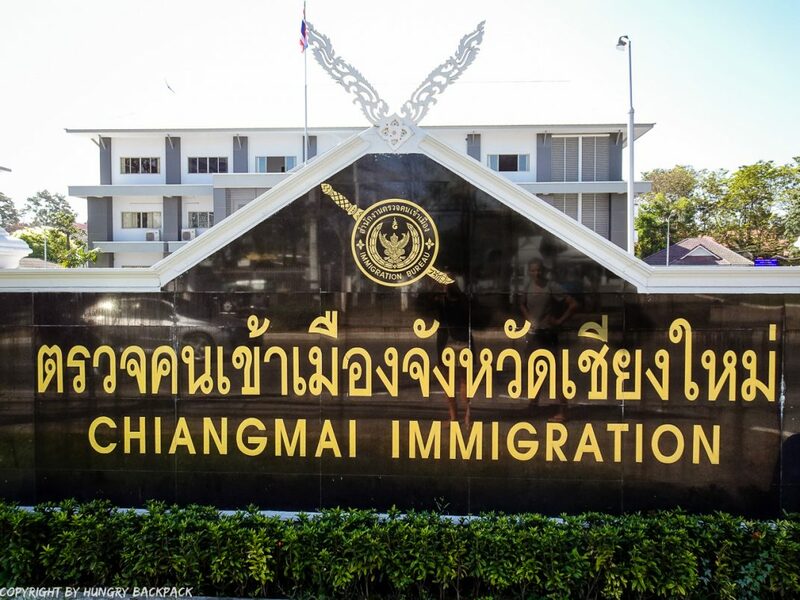 Since late 2018, tourists can extend their tourist visas at the brand new Immigration office near the Airport in Chiang Mai. 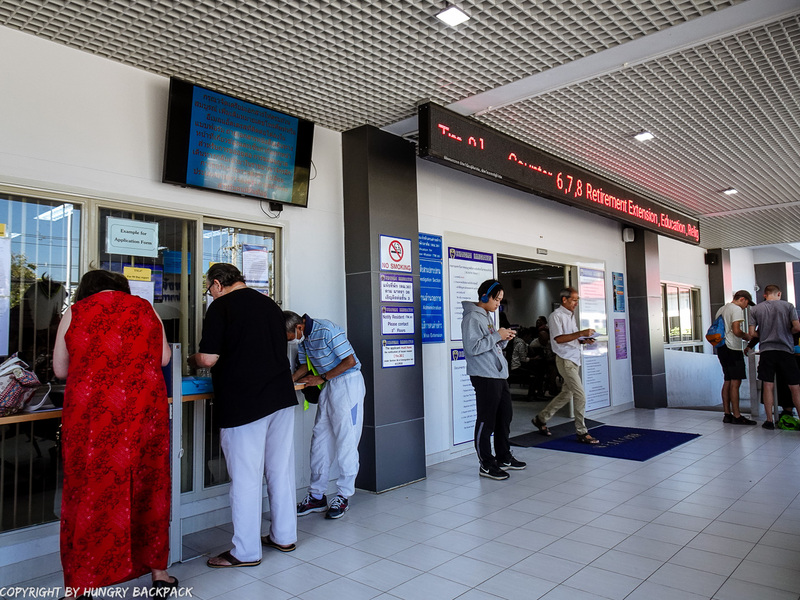 The Immigration Office is open from Monday – Friday, 8:30 am to 4:30 pm – excluding public holidays! 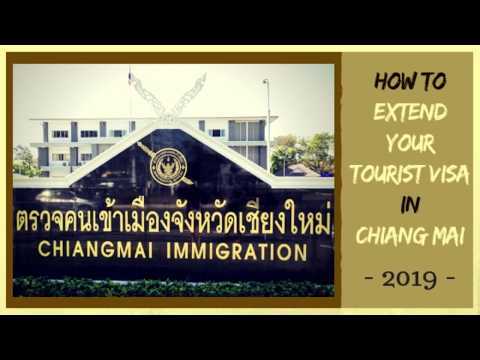 How to get to the Chiang Mai immigration office to extend your tourist visa? There are several ways to get from Chiang Mai to the Immigration office near the airport – depending on your time / driving skills and budget. We will list 3 ways to get to the Immigration office from the Nimman area. 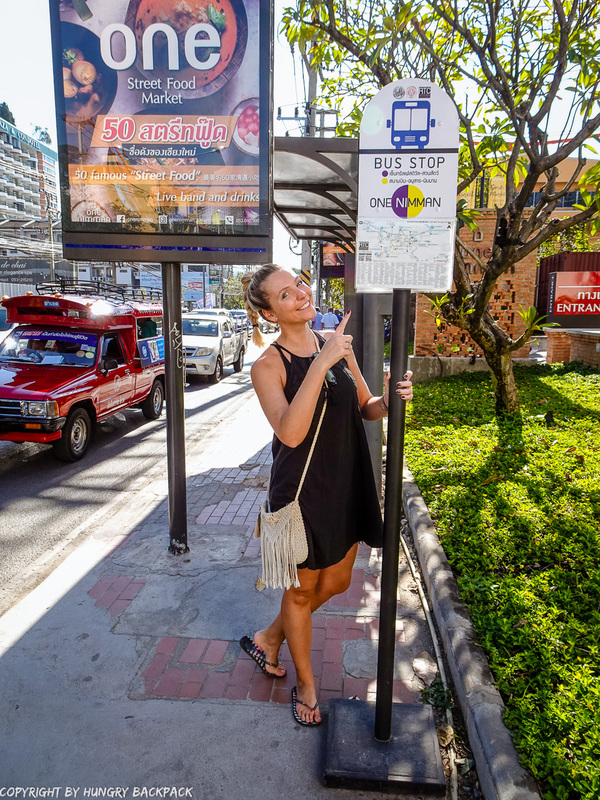 The easiest way is to take a (Grab) Taxi which will get you there for around 150THB picking you up directly from your hotel. But be aware, apparently ride share services such as Uber and Grab Taxis are actually illegal (at least not officially legal) to use in Thailand and there could arise problems if anyone associated with the local transport community spots you using these services. However we’ve never actually heard of anyone running into problems. 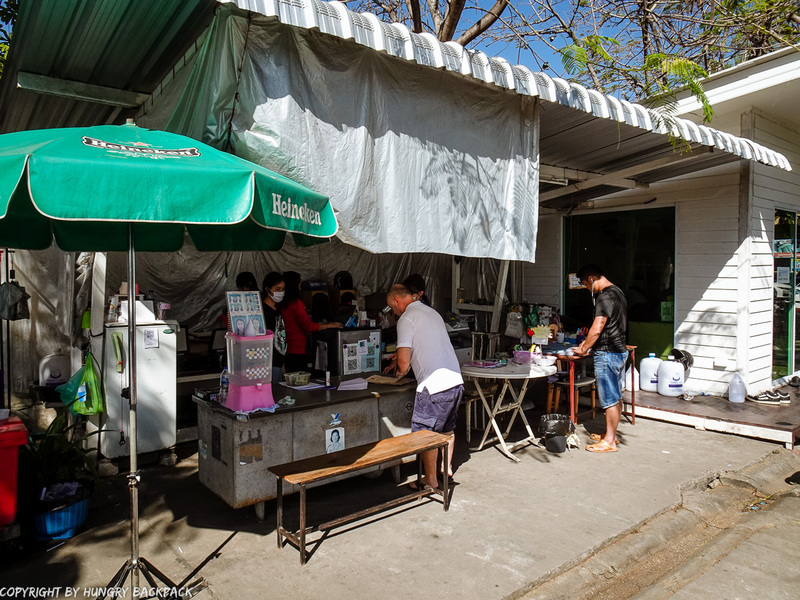 You also could rent a motorbike to drive to the Chiang Mai Immigration Office yourself. Costs per day around 250 – 350THB. This option however requires that you have a valid drivers license for driving motorbikes in Thailand and that you know what you’re doing. 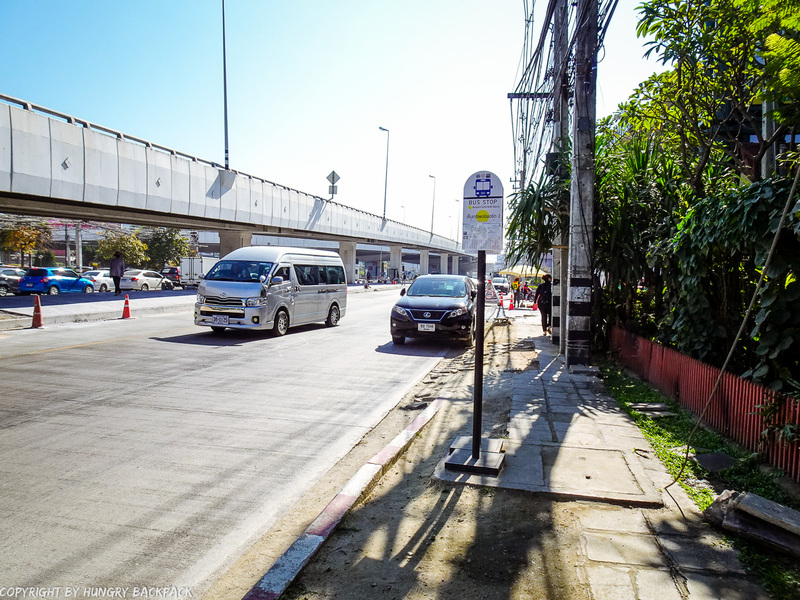 The traffic can be pretty crazy in Chiang Mai and the Thai police regularly conducts road blocks and checks the driver licenses of passing motor cyclists. 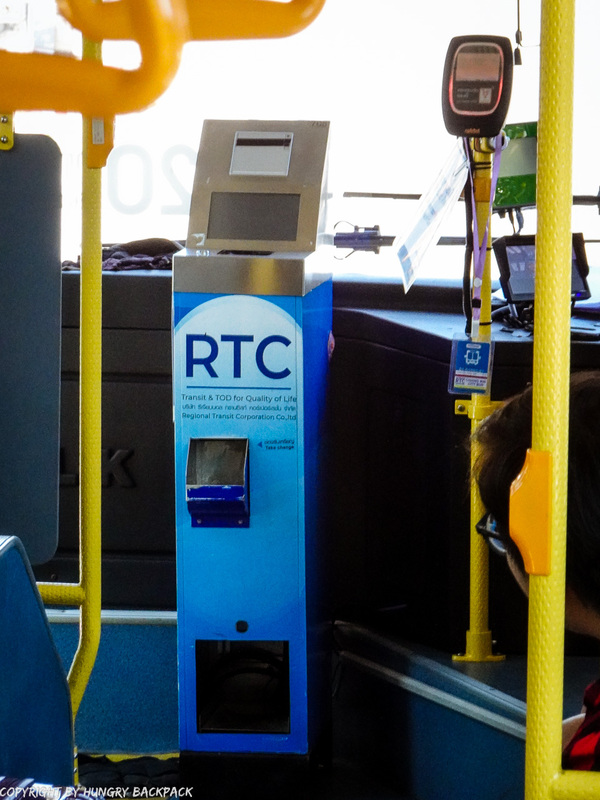 Anyhow, there is also a third option – using the new public city busses! We’ve seen these modern busses so had to give it a try and can absolutely recommend it! CHEAP & EASY! 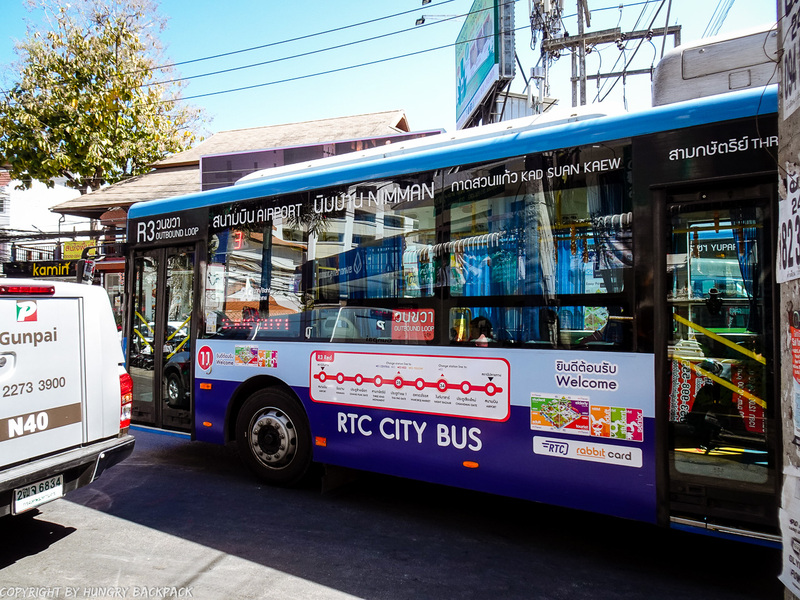 These busses cover quite a big area and at only 20THB per ride (no matter where you’ll get off) these city busses are simply perfect not only to get to the airport or the Immigration office but also to simply get around Chiang Mai easily if you are on a budget! 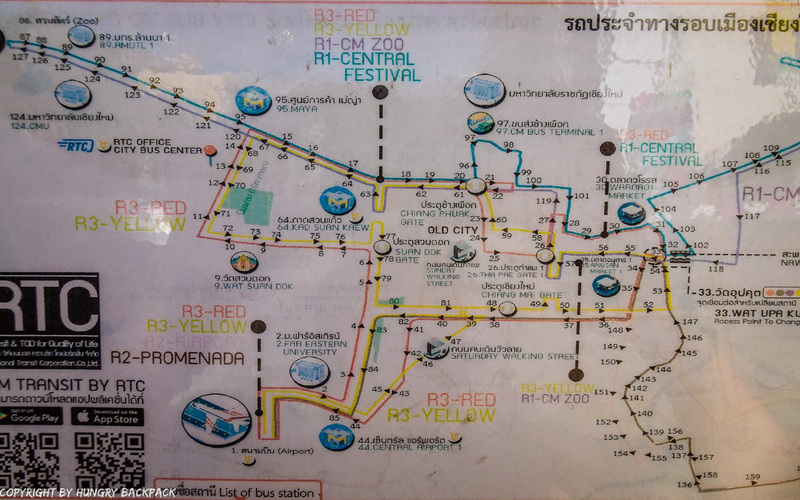 Here is a little map of all routes, bus stops and times of these city busses. 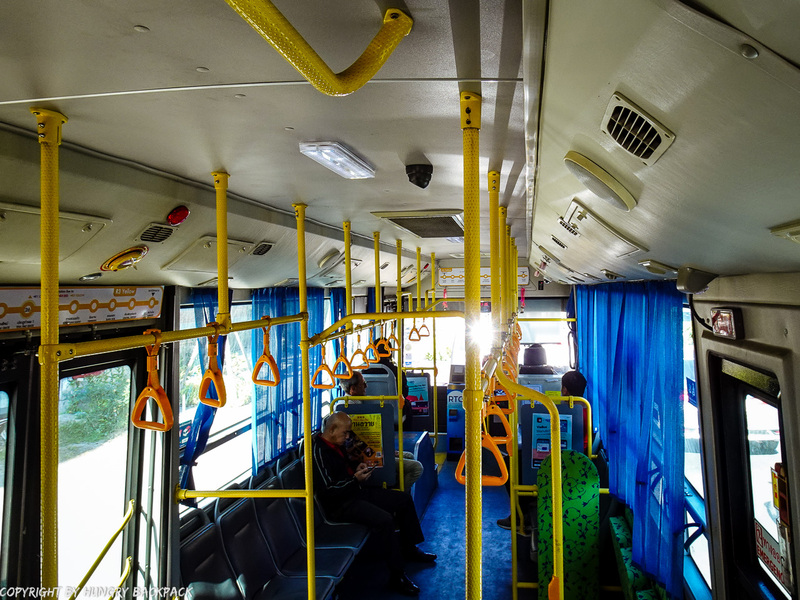 To get to the Chiang Mai Immigration office from the Nimman area take the YELLOW R3 City Bus to the airport. 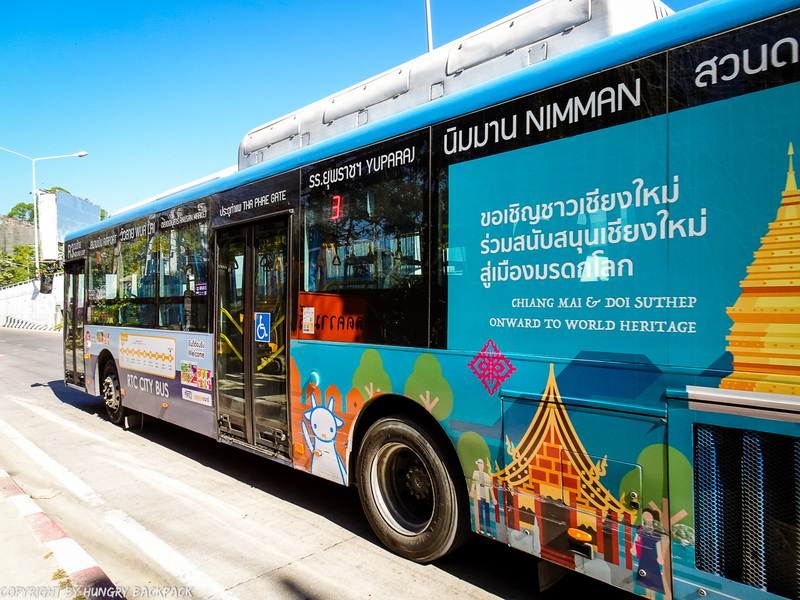 How to get to the Chiang Mai immigration office from Nimman with the new R3 City Bus? As we had booked ourselves into the lovely (and highly recommended) boutique hostel – Norn Nee Nor Hotel* right in the heart of the Nimman area we had a wide choice of potential bus stops to use with at least 4 in walking distance (less than 10 minutes from our hotel) mainly spread along the busy Huay Kaew Road and Nimmanahaeminda Road. We decided to head to Huay Kaew Road and picked bus stop: ONE NIMMAN at the back of the One Nimman Shopping Mall just a few minutes from our accommodation. 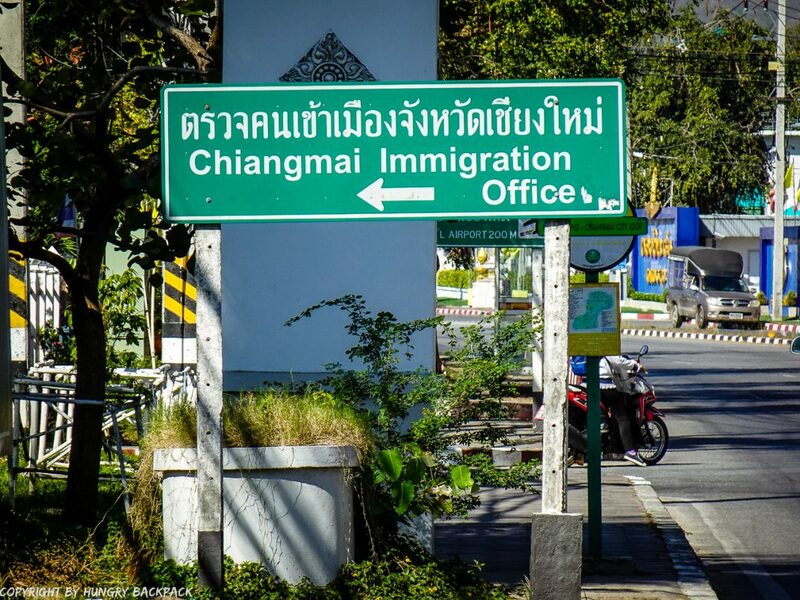 The whole trip from Nimman to the Chiang Mai Immigration office went absolutely smoothly! 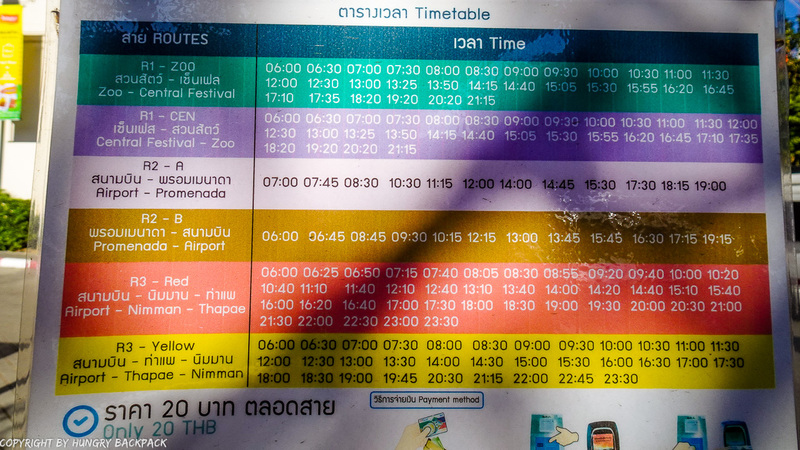 We waited for about 5 minutes for the bus line R3 – yellow (they run about every 20 minutes), paid our 20THB each to the driver and after around 25 minutes we got off at the bus stop Central Plaza. This stop is a little bit closer to the Chiang Mai Immigration Office than from the airport. 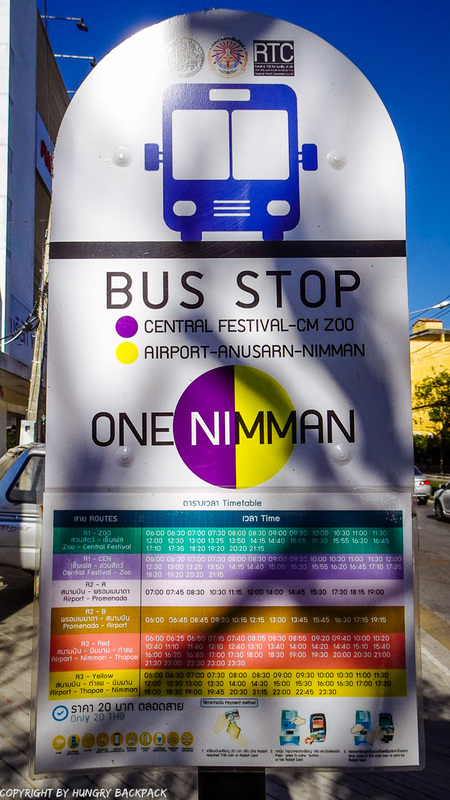 Bus ride back to Nimman went just as smooth! 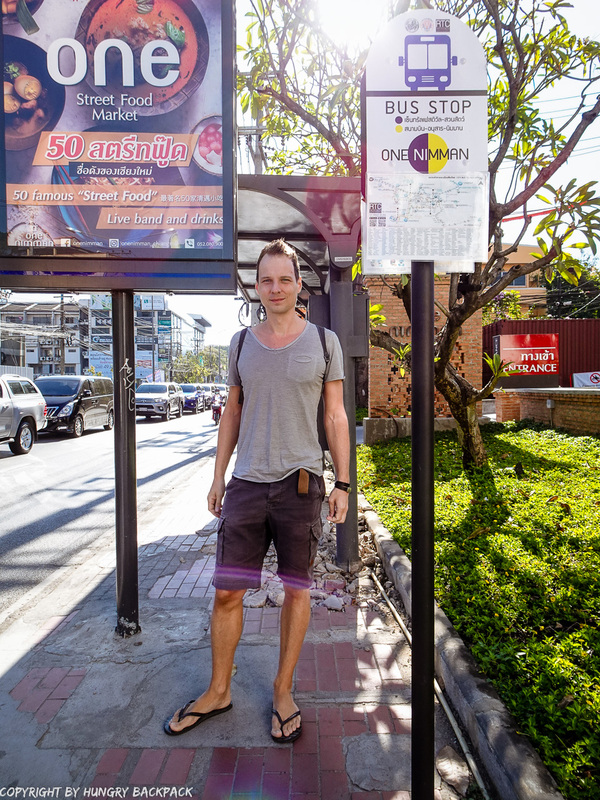 From the Central Plaza bus stops it’s just a short 6 minutes walk along the side of the road to get to the Chiang Mai Immigration office. 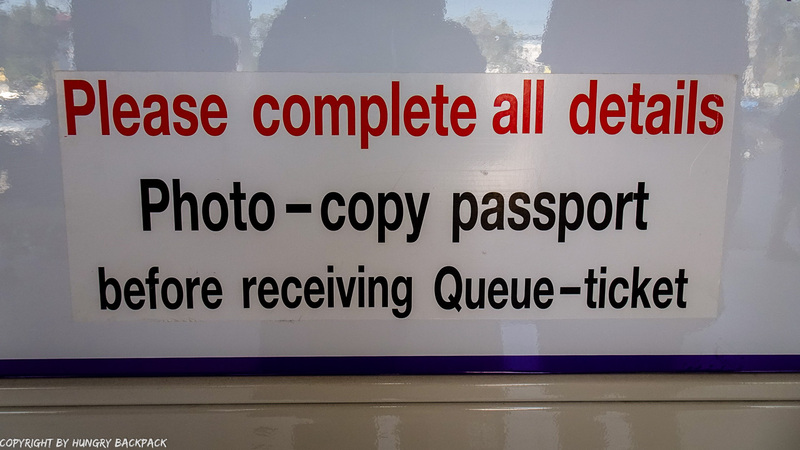 Theoretically your passport with your departure card a well as the visa fee should be enough as everything else is provided (such as the right forms) or can be done right there at an additional cost (passport photo service, copy shop etc.). 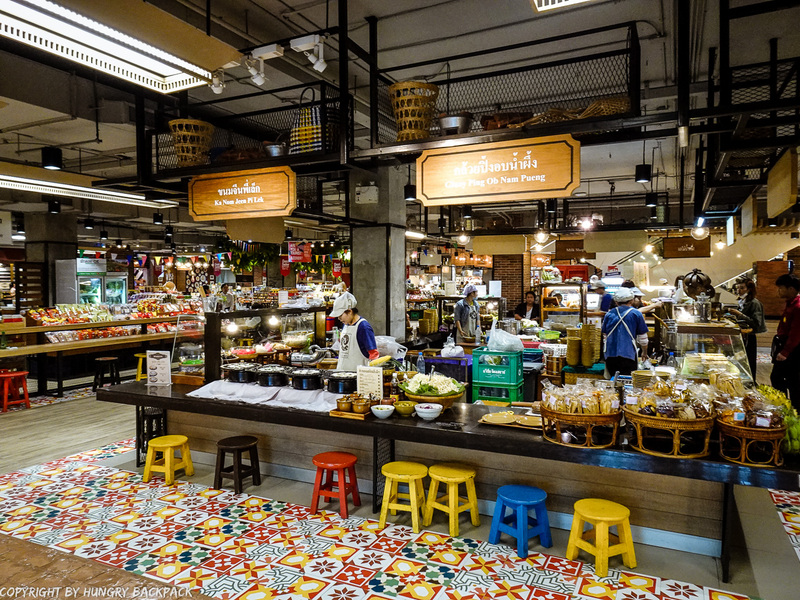 Also make sure you know the address where you are currently staying as well as having a Thai phone number – this information is required on the TM7 visa form! 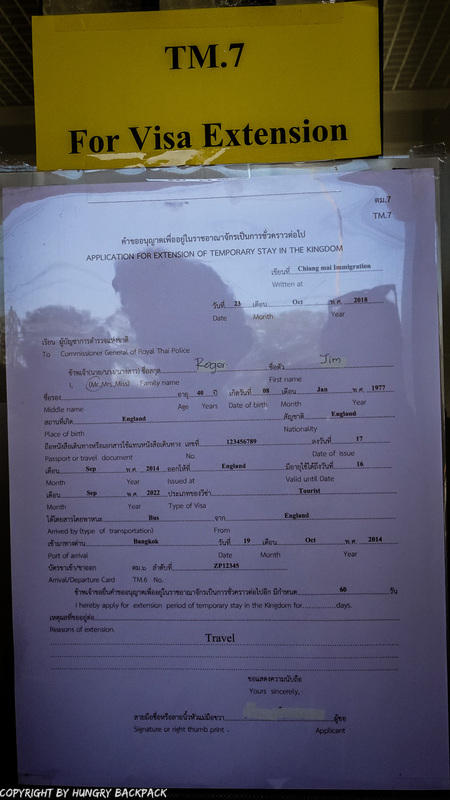 The Process to extend your stay/visa is pretty straight-forward and there is always enough staff on site to tell you what’s happening next. 1. 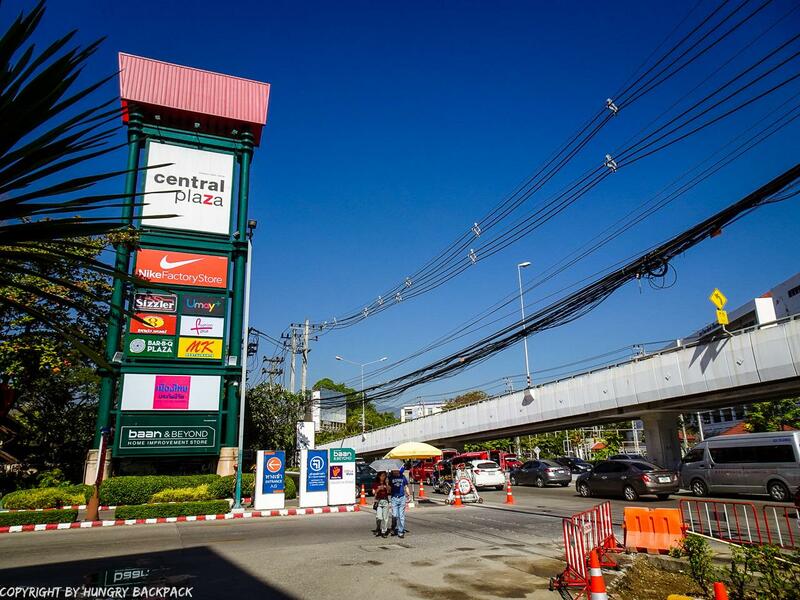 Find the immigration office between the Chiang Mai airport and the Central Plaza shopping mall. There you’ll be greeted be members of staff which will hand you a TM7 form as well as assist you should you have any questions regarding filling out the forms. 2. Check out the examples of how to correctly fill in the form. There is a sample of a filled TM7 form tucked to the wall on the left hand side of the big sliding entrance door. Knowing how to fill this in will safe you some time. 3. Find a place to fill in the form (there are a few outdoor tables and chairs) – it’s just 1½ pages. Note: Bring a blue or black pen as there are only a few pens available at the information desk! 4. Get all the necessary photocopies if you didn’t bring them with you. You’ll need a copy of your passport & departure card, as well as your visa or entry stamp. It’s less than 10THB but you actually have to get it at a “copy shop shack” which is located across the busy street and will take you at least 10+ minutes. This can be easily avoided if you bring all the necessary copies with you but you don’t have to…it’s all there if needed. 5. Have your passport pictures taken if you didn’t bring a 4 x 6 cm passport picture. 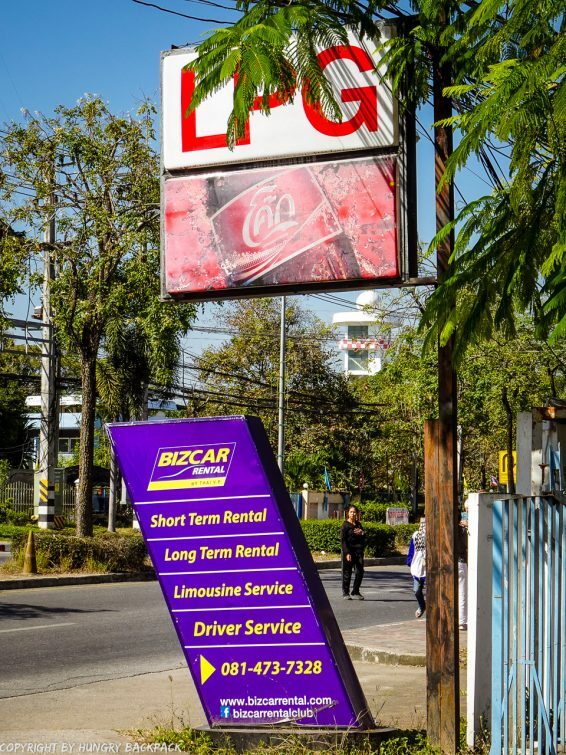 You can get them at the same spot as the photocopies (across the street at the LPG car rental.) You’ll receive 4 pictures at the price of 100THB. Again, you can bring along your own passport picture to save some time and money. 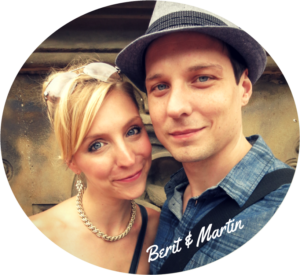 Note: they are not flexible on the size of the pictures and rejected the ones we brought with us as they were “too small” 🙂 Funny thing was that Martin brought the ones he got taken when extending his visa before at the immigration office in Phuket, Thailand. 6. Take your completed TM7 form, one passport picture, the copies of your passport and departure card (both need to be signed again) and the 1900THB in cash inside to the information desk. The staff there will check whether you have completely everything correctly and clamp your documents together. 7. Take your papers and proceed inside the building towards the check-in counter. The officers there will take you documents and the payment and you’ll be assigned a number. 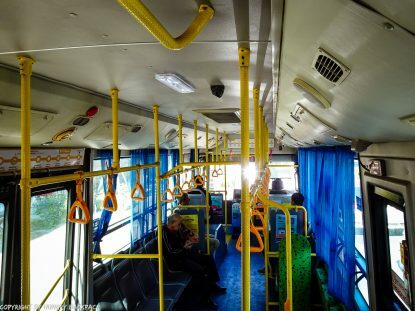 Just take a seat in the air-conditioned waiting hall! Note: Depending on how many people are there that day expect to wait around 30min – 1hour. If it’s super busy you might have to wait even longer. So bring a book to read or have your phone fully charged so that you’ll have some entertainment while waiting. 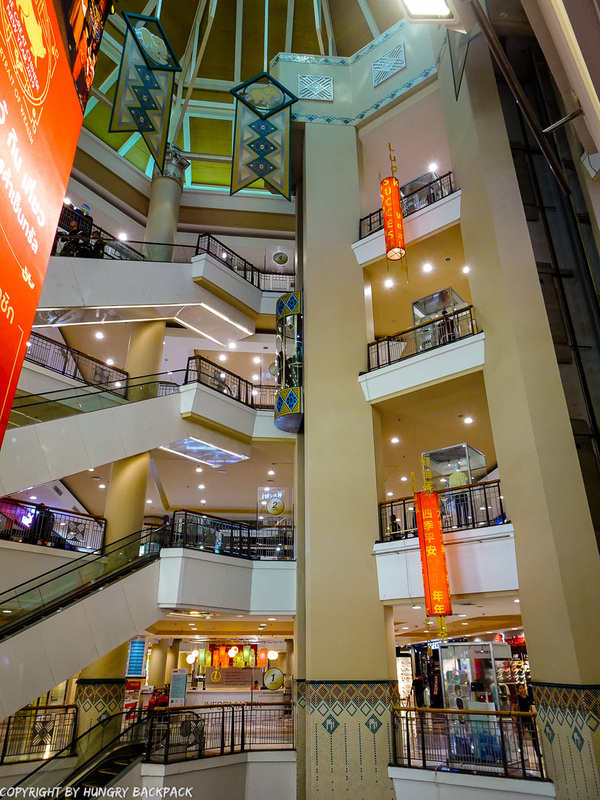 There is tons to do (or shall we say to EAT :-)) at the nearby Central Plaza Mall. They have a big food court at the ground floor as well as tons of shops, restaurants, cafes and even a cinema! The mall opens from around 10am – ideal if you want to grab a quick bite to eat after all the visa extension stress. 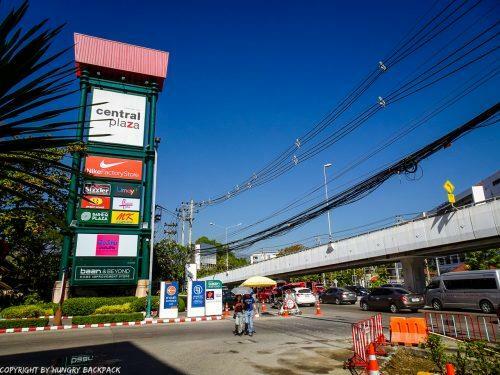 How to get back to Chiang Mai from Central Plaza Mall & the Chiang Mai Immigration Office? Well it’s as easy as getting there in the first place. 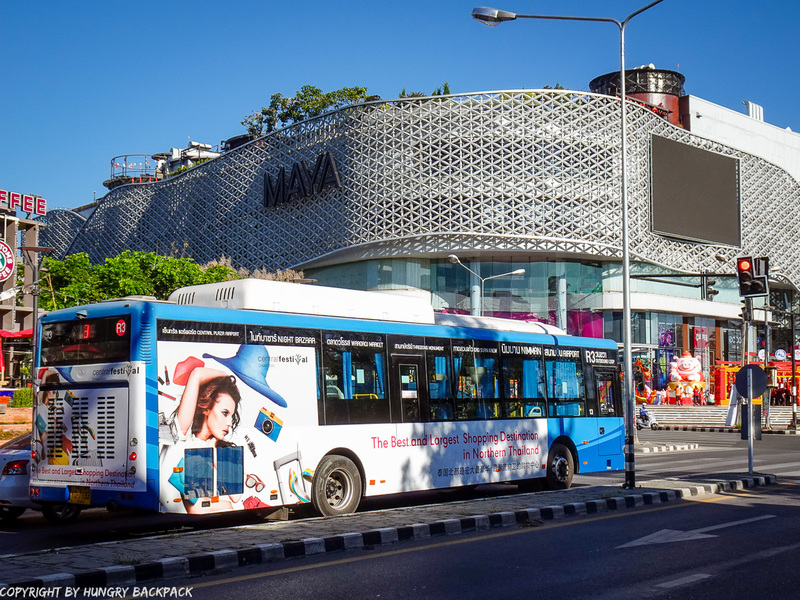 🙂 If you rented a scooter this question answers itself and if you came with the bus like we did there are bus stops on the other side of the road. 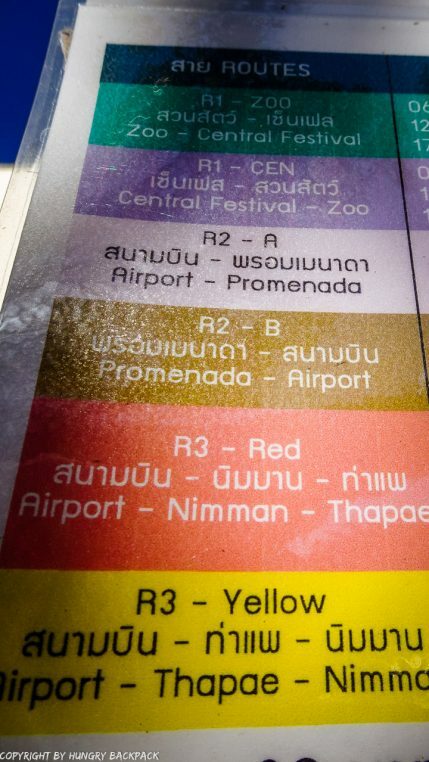 You’ll have to look out for bus line R3 – RED to go straight to Nimman area unless you want to do a trip around Chiang Mai Old Town (than you can take the YELLOW ONE) :-). Ride back to Nimman with the R3 went just as smooth. 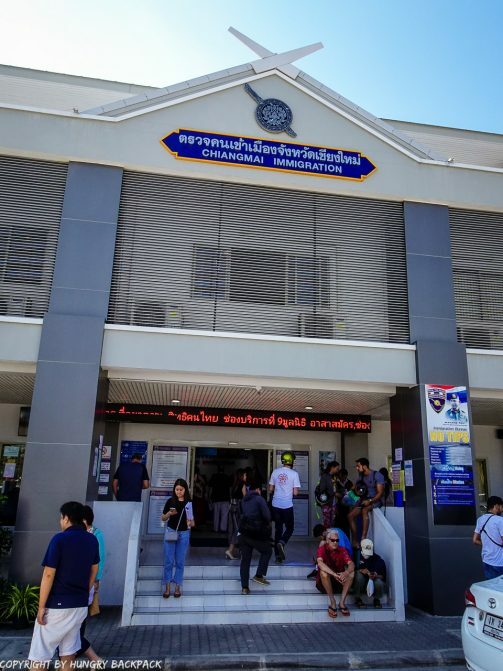 So all in all the new visa extension process at the new Chiang Mai Immigration Office went really smooth.The staff were really efficient and processed our application pretty quickly considering the amount of people there. We are now looking forward to staying another few weeks in Thailand! YEEEAA!! Also extended your visa? CONGRATS! 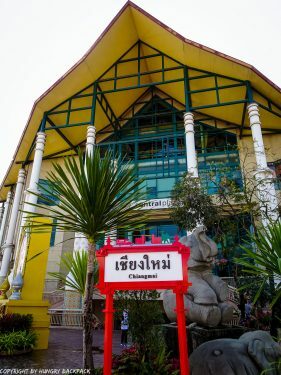 Make sure to check out our scooter adventures around Chiang Mai for some inspiration and guidance of how to spend your next weeks here :-). Where can you extend your tourist visa? At the Chiang Mai Immigration Office near the airport. This is the ‘official’ list of what you need to bring when extending your tourist visa. 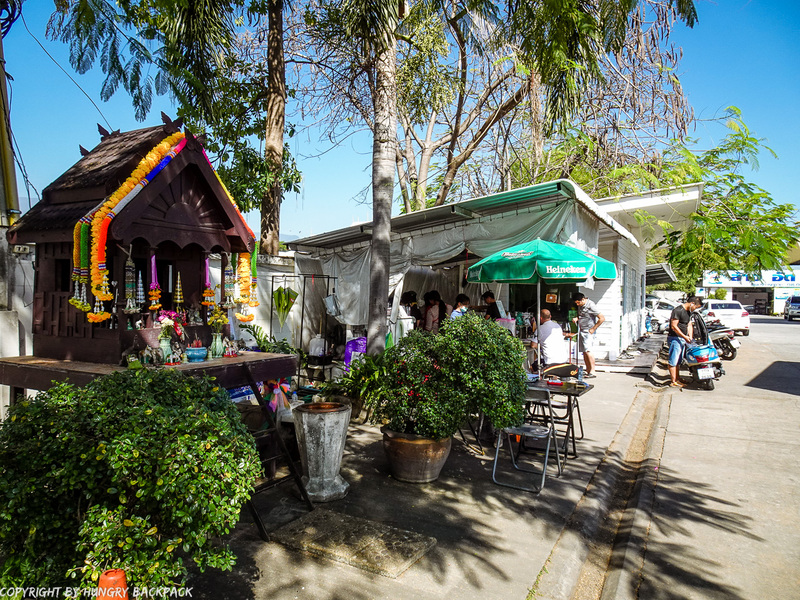 The address where you are currently staying as well as having a Thai phone number – this information is required on the visa form! We stayed at the Norn Nee Nor Hotel* which is located conveniently in the Nimman area and from where you can easily catch a bus to the airport. Hi! 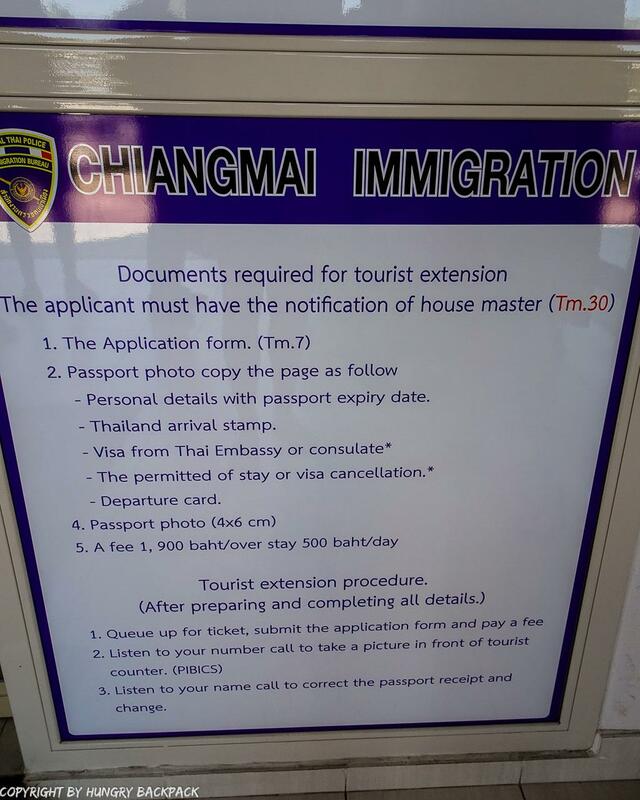 We couldn’t find much information online about the changed visa extension process in Chiang Mai so thanks for this really helpful guide! We’ll be going there tomorrow to extend our tourist visas! Hi Steve! Glad you found this guide helpful! Good luck with your visa extension and happy travels!